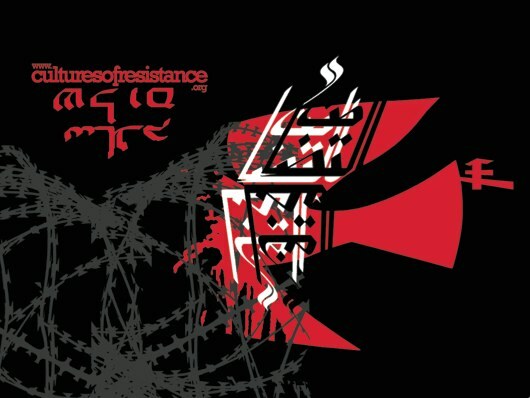 I’m excited to be heading to see Lara Lee’s new feature film Cultures of Resistance on Thurs. June 30th at City College in Berkeley, CA. The film takes viewers on a journey across five continents as it documents the personal stories of creative change makers who aim to inspire engagement and social action around issues of social justice worldwide. The idea of this film caused me to stop and think about our efforts to educate students in meaningful ways that make a lasting impact in our collective lives. It occurred to me that the Internet should be used not only as a source for information but also as a means and a vehicle to spark action in our communities and around the world. When I reflect on social media use during the recent revolution in Egypt, I am struck by how globally connected and interdependent we are locally, nationally, and globally. It brings to the forefront of my mind the need to prepare students with an orientation and a commitment to using online information and advocacy to improve our global community. To help achieve this aim, this post focuses on several school-friendly social action projects that make strategic use of the Internet to connect people around the world. These projects provide a promising means for engaging students’ intellectual potential, curiosity, and social networking skills to make a lasting change on important issues of the day. 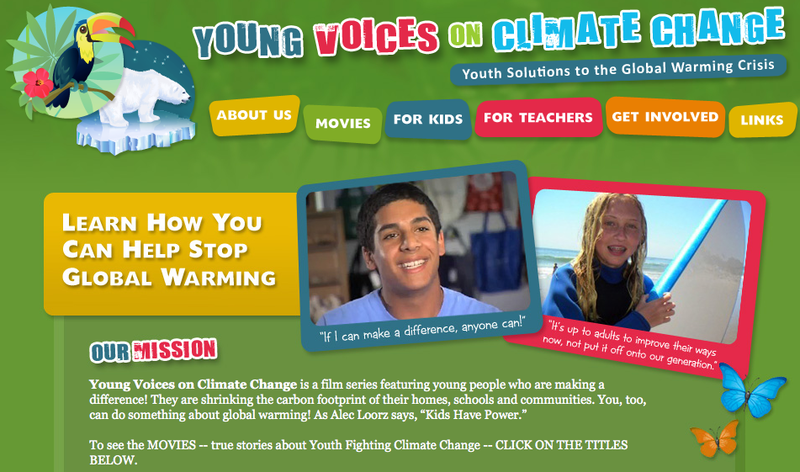 To help kids better understand global warming, the Pew Center recently collaborated with Nickelodeon to research kids’ and parents’ attitudes and behaviors toward the environment and have made several great resources available (see http://www.pewclimate.org/global-warming-basics/kidspage.cfm). Such efforts have helped sparked several action campaigns led by adolescents and young adults. One such effort is iMatter (see http://imattermarch.org/). iMatter began as a simple video, created by a 13 year old, that covered the problems, consequences and solutions of climate change. Now, it’s grown into a global campaign meant to unite the voices of a generation on the most urgent issue of our time. Additional efforts such as Young Voices on Climate Change showcase the many creative and innovative ways young people are shrinking the carbon footprint of their homes, schools, and communities. This effort began as a series of short films from Lynne Cherry, author of The Great Kapok Tree, and feature the inspiring work of young people who seek to increase climate change awareness and action. It then expanded to a book entitled How We Know What We Know About Our Changing Climate: Scientists and Kids Explore Global Warming. Both the iMarch and Young Voices websites feature several ways students can get involved and make a difference. The inspirational trailer for Young Voices can be accessed here. 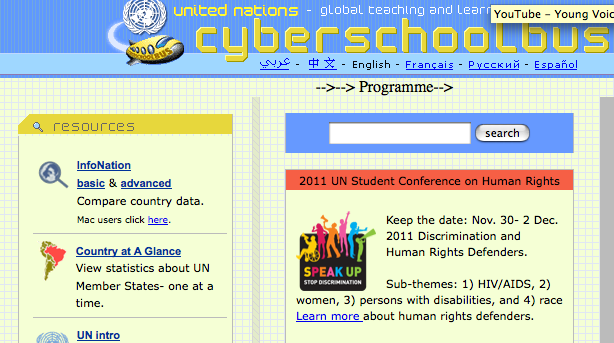 The United Nations Cyberschool Bus Global Teaching and Learning Projects website encourages students and their teachers to engage in world wide social action projects. This portal offers curriculum resources to support finding solutions to combat world hunger, ending racial and ethnic discrimination, and providing universal human rights. Through collaboration with classes worldwide, students can participate in finding solutions that may impact the realities of tomorrow. Placing students in the role of problem solvers empowers them to find ways to use what they are learning in school and their communities to change the reality of the world around them. The quizzes and games section includes interactive simulations such as Against All Odds (aimed at increasing students’ awareness and knowledge about refugee situations by putting players in the position of a refugee) and Stop Disasters (that encourages problem solving by teaching players how to respond to different disasters) are excellent ways to increase students’ awareness about global crises and ways to combat them. 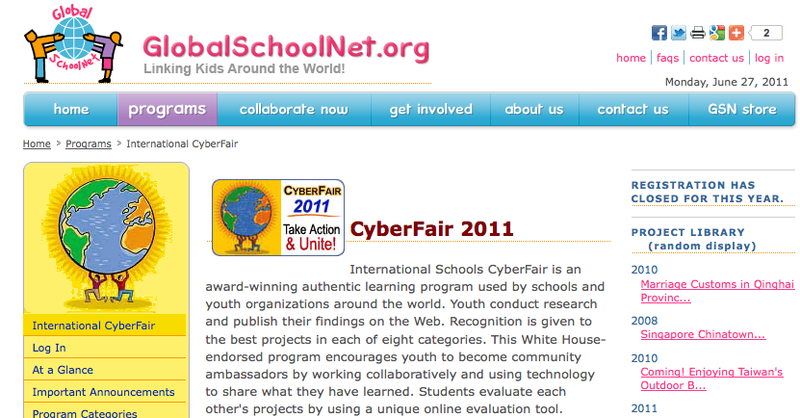 International Schools Cyberfair is an international learning program that encourages youth to connect the knowledge they learn in school to real world applications. This project has brought together more than one million students across 100 countries. Its purpose is for students, their schools and their local communities to use the Internet to share resources, establish partnerships and work together to accomplish common goals. Students work collaboratively to research and then showcase online what is special about their local community. Local and international collaboration through information and communication technologies is a key aspect of the program. Students are also encouraged to serve as “ambassadors”, sharing what they’ve learned in a way that contributes back to their local communities. Award-winning projects showcase people and programs that are actively providing solutions or solving problems. Projects within iEARN are designed and facilitated by participants to fit their particular curriculum and classroom needs. Upon membership, the iEARN network is open to all teachers and students at a school, with resources available for finding iEARN projects across age levels and disciplines. iEARN features a Learning Circle, which contains highly interactive, project-based partnerships among small numbers of schools located throughout the world. All iEARN projects involve a final “product” or exhibition of the learning that has taken place as part of the collaboration. These have included magazines, creative writing anthologies, websites, letter-writing campaigns, reports to government officials, arts exhibits, workshops, performances fund raising, and many more examples of youth taking action as part of what they are learning in the classroom. Participation in social action projects provides opportunities for young people to transform the world around them and makes it possible for them to see themselves, their abilities, and the activities at school in a different light. Not only does this give students the opportunity to affect change in the world and gain valuable experience with the new forms of online communication and social networking that are quickly defining our world, but it also builds confidence that the skills they are learning have value beyond the classroom.